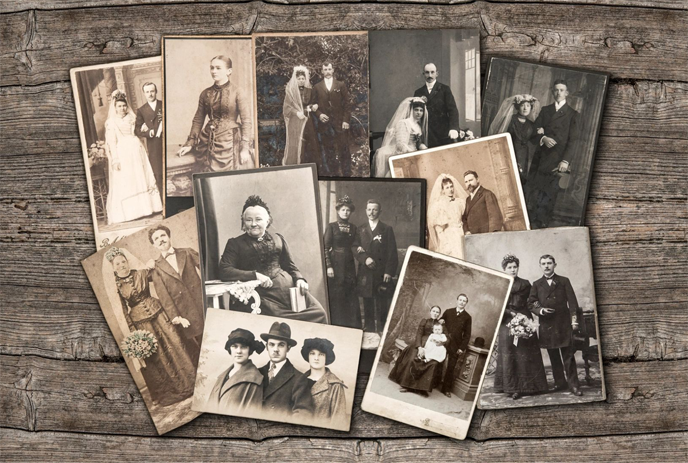 The Photo Montage is often associated with special occasions such as memorial or wedding services, often sharing stories through photos when words just aren't enough. Creating that perfect photo montage is a joint effort between you and us. To start the process you need to schedule an appointment with our specialist, if you still need a little extra help get a free PDF copy of our Photo Montage Guidebook here. Our “Basic” photo montage puts your photos in a slideshow with a basic cross dissolve - a fancy term for the type of transition we add between photos - and then sets it all to your choice of music! The “Advanced” photo montage, or tribute video, is everything you get in the "Basic" plus 2 title slides, and we add a pan & zoom effect - fancy terms for visually pleasing motion - to each picture. This option gives your project an impressive and really professional look! Our "Custom" photo montage is for those who wish to have a 1-on-1 guided editing experience with your editor. You will have complete creative control over everything in your video. Pick music, decide length, add titles, choose the motion - we'll customize everything for your perfect montage presentation. If you can imagine it, we can create it! *Note: there is an additional $25 Rush Fee for projects needed within 5 business days. My team and I understand how difficult it can be to prepare for a variety of events in our lives, especially events, whether happy or sad, that are sudden or unexpected. Because of this we do our best to take care of our customers like they are family. We just want to serve you the best that we can. Thank you for trusting us with your families and your memories!